Did you know that 2018 is the Year of the Sea in Wales? Following the success of the year of Adventure and the Year of Legends comes the Year of the Sea, which encourages the whole of Wales to stand up and pay attention to the Sea, and just how much it influences our daily lives and culture. You might consider that for Henstent Park, an inland touring caravan park which features camping and touring facilities as well as a series of high quality holiday homes for sale, that the Year of the Sea would be considered something quite redundant, but that’s not the case at all. A short drive away from us at Henstent is all manner of nautical things to do, including the Dolphin Spotting Boat Trips at nearby Newquay. While you visit Henstent Park, why not take advantage of them with a day out? 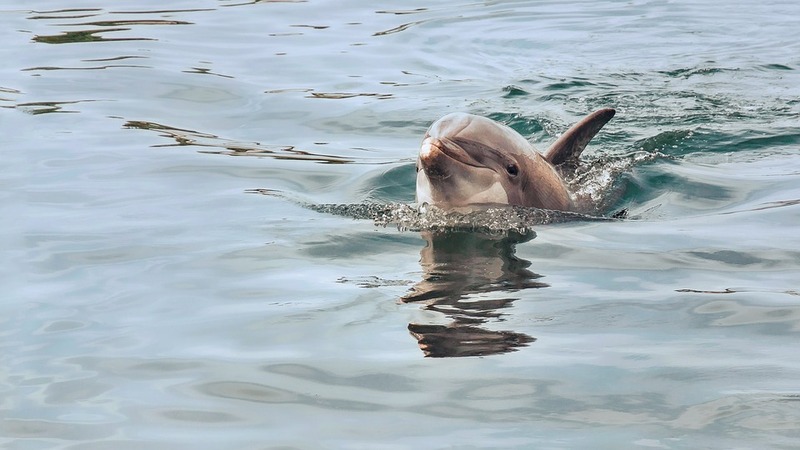 Easter has just passed us and the Summer Holidays are speeding ahead at full force, and we’re confident that the Newquay Dolphin Spotting Boat Trips are an excellent day out for all of the family. With large, custom built boats featuring built-in seating and no age restrictions (as well as dogs welcome as long as they’re kept on leads!) , the Dolphin Spotting Boat Trips are a fun day out for every single member of the family. Your trip will go around Cardigan Bay, which just so happens to be home to Europe’s largest population of bottlenose dolphins – with over 250 individual dolphins on record. That’s not all – the trip also has the possibility that you’ll discover very many more animals such as as porpoises, Atlantic grey seals, and of course the very many seabirds which make the seashore in the UK quite unlike any other. Should you wish it, you’re more than welcome to take advantage of either their one hour or two hour trips, which go around Cardigan Bay, as well as areas like the Ynys Lochtyn peninsula, which are known to be a natural feeding area for the dolphins. The Dolphin Spotting Boat Trips are conducted in association with the Sea Watch Foundation, which is an organisation which monitors marine mammals on behalf of the Welsh Government. Furthermore, the Dolphin Spotting Boat Trips are held in accordance with the marine code of conduct, guaranteeing you an excellent day out without any guilt. The Year of the Sea is something which affects every single part of Wales, and attractions like the Dolphin Spotting Boat Trips so close to Henstent Park make us an excellent place to stay in order to enjoy a great day out while you’re on your holidays. Images are taken by Jonathan Evans, and used with permission from the team from Dolphin Spotting Boat Trips.